Margaret Thatcher; Saviour or Style Victim? The death of Margaret Thatcher has brought a deluge of comment and opinion (just try googling her name). But what type of leader was Margaret Thatcher? Was she a Saviour, as some people have suggested, or the Devil made flesh? To me, Thatcher was a victim of Style. Communication or Social Style that is. A couple of years ago, I wrote a piece on the Driving Social Style, as typified by Lords Alan Sugar. You read about this style here . In that article, I mentioned that Margaret Thatcher is the other (stereo)typical example of the Driving Style; needing to be in control, hiding their emotions, apparently cold and, even, uncaring, with a strong preference to get the job done, even at the expense of relationships. With an expression like “the Lady’s not for turning” you almost get the mission statement for the Driving Style. Several of the comments from people who actually knew her, rather than just being exposed to her public persona, have said that although she could appear hard in public, in private she had a caring side. This was evidenced by her apparently personally writing to the families of every serviceman who died in the Falkland’s crisis. Maybe what we saw is not exactly who she was, but it is natural that we judge a person by what they do. This is where the Saviour or Demon labels come in; it depends where you are looking at that behaviour from, and how it relates to your personal values. Margaret Thatcher may have been disliked by many people (possibly even hated) but the majority of commentators have indicated that, even amongst her enemies, she was respected. Interestingly, she is possibly more revered outside of the UK than in it, and she certainly defined a certain British image associated with her time as Prime Minister. But what of her legacy? What impact did her style have on those who followed? John Major is the archetypal Analytical Style; Blair is harder to pin down, being either versatile or inconsistent, depending on how you look at it, but probably responds more to “people” than either of his predecessors. As such, Blair is possibly an Amiable, with a strong need for acceptance and wanting to achieve consensus. His body language, is however, ambiguous and hard to read. Gordon Brown is another Analytical in the mold of Major, and this style is the really cool and aloof one, though attention to detail is a strength, which is why history may say both Brown and Major were better Chancellors than PMs. Neither were blessed with great charisma. Blair had Charisma, but more style than substance? Perhaps. David Cameron is interesting, as he is somewhere between Blair and Major. Amiable-Analytical perhaps? Like Thatcher, he is leading the country at a difficult time, but seems to want to project an image of someone who makes tough decisions, but with compassion. Time will tell if this genuine, or not, as the majority of public opinion on Blair seems to believe. For me, Margaret Thatcher defined my youth and early career. I learned a lot form observing her leadership style. What works and what doesn’t. Thatcher possibly lacked versatility and was a victim of her style, but this undoubtedly helped her to achieve what successes she had. It also probably hindered her from taking more people with her on the journey. This week’s Apprentice task involved the teams designing a new, free glossy magazine (called Fremiums) and selling advertising in it. Lord Sugar appointed Natasha to lead Team Logic, and moved Jim to lead Team Venture, with Leon moving in the opposite direction. For once the task proved to be as bit of a red herring. Yes, it determined which team lost, and yes, there was a clear difference in Leadership style, but it had no direct bearing on who got fired. Natasha has a very tell assertive, directing leadership style. She decided her team was going to do a lads mag, and over ruled or simply ignored the work and advice of her team. Had they lost, I’m in no doubt the team would have rounded on Natasha. Jim’s style was a complete contrast, very consultative, ask assertive, ensuring that he was less exposed by making sure everyone was in agreement. Team Venture targeted the Over 60s market. And yet, Jim still made some key decisions that ultimately lost the task. Jim refused to negotiate in the first pitch, ignoring Susan’s concerns and then changed his approach with the next 2 media companies. In the Borardroom, with Venture losing the task, Jim started to apportion blame, and looked vulnerable. As in previous weeks, Jim came out fighting rounding on Glen for not being willing to do the pitching, and Susan for claiming she was not behind all of the team’s decisions. In relation to negotiating, this was backed up by Nick. Jim brought Susan and Glen back with him and found his style described as “passive aggressive” Karen and Nick. He was also described as “manipulative”. Things were looking bad for Jim, but Lord Sugar had a card up his sleeve and fired Glen because he’s … an engineer! 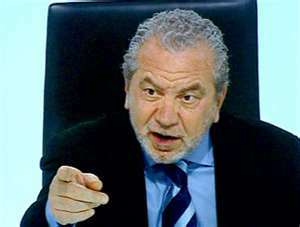 Yes, Lord Sugar informed us that he’s never met an engineer who can turn his hand to business and fired him. 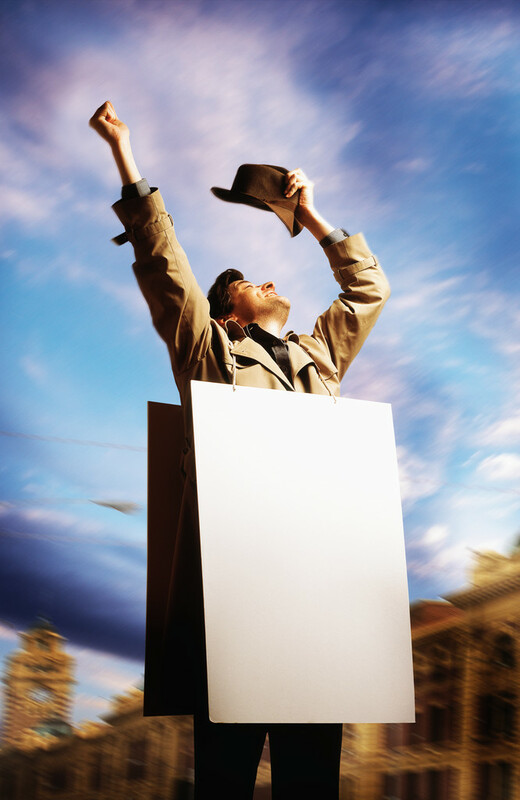 Lord Sugar hadn’t seen enough fron Glen, and amazingly Jim survived. So, in the end the firing had nothing directly to do with this week’s task, and more an accumulation of observations against Glen and a prejudice against engineers. Quite simply, this week the wrong person was fired. Early favourite Jim has been exposed and should have been fired. Current favourite to win – Helen, who still hasn’t lost a task.